Circa 1936-1951: Most Fiesta plate sets sold included the 9" Luncheon Plate and smaller plates, so to find the large 10" plate is a treat, especially in this kind of unused condition. 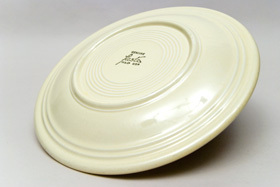 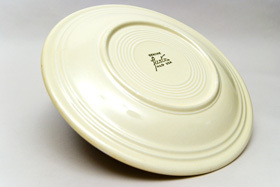 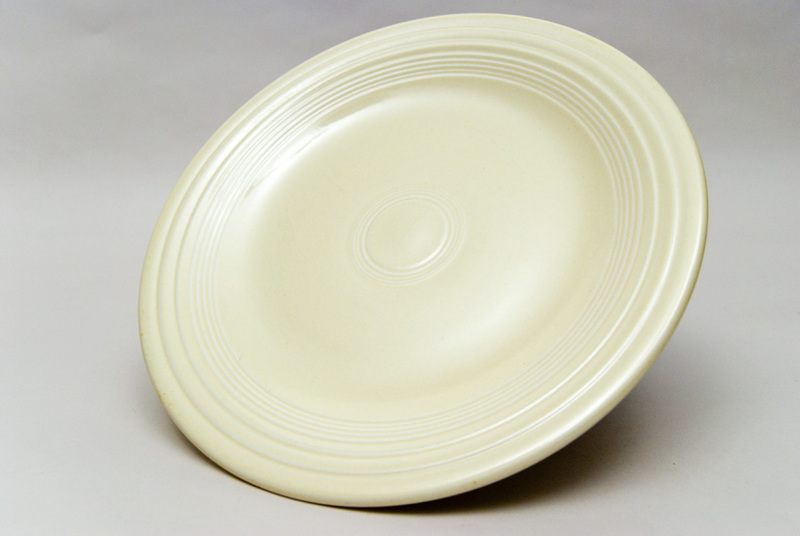 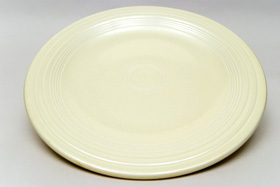 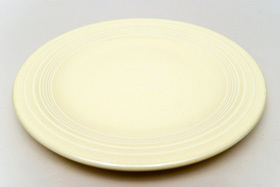 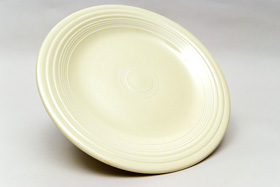 The Fiesta plates were made upside down with the clay being pressed into a mold, spun around on a jiggering machine and tooled on the back, fired once, allowed to cool for sometimes days, fully dipped in glaze, glaze stamped with the "GENUINE fiesta HLCo USA" mark, and placed in the kiln on three stilts and fired again. This example of the 10" Ivory Fiesta Dinner Plate is in excellent vintage condition, very nice clean surface for the old ivory and great definition to the rings, clean sagger marks, and a nice glaze stamp. Measures 10 /16" x 3/4"